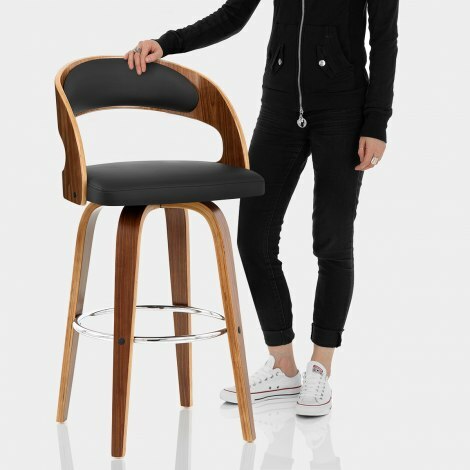 The Alicia Walnut Bar Stool Black invites you to take your place at the kitchen counter or bar in comfort. Classic materials combine with a completely innovative design to create this unique piece of furniture, ensuring the Alicia is well and truly worth seeking out. The centrepiece of this lovely stool lies in its bentwood backrest. 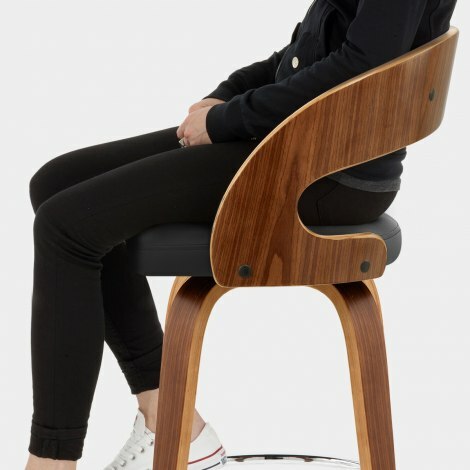 Curved in order to cosset your body, it sports a faux leather pad to match the supple seat beneath. Meanwhile, the solid four-legged wooden frame is subtly enhanced by a deep walnut finish and strengthened by a circular, chrome footrest. Also able to turn 360 degrees, this piece is full of practicality. "I would recommend them to anyone"
Great product, easy to assemble, good communications. Next day delivery. Highly recommended. I bought these stools because I became fed up of the run of the mill gas lift stools. I am very pleased with them. They look more expensive than the price paid. Very easy to put together - I am over 60 and it took me only an hour to assemble them. Very pleased with purchase. Ordered yesterday at 15:00pm. Arrived 16:00 pm following day. Great delivery service. Only put one up at the moment but I love it. Great colour and very comfortable. 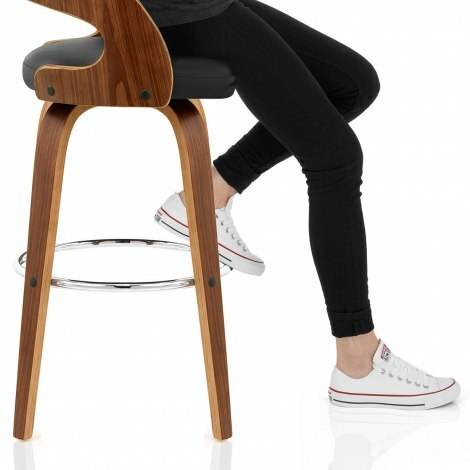 These stools are good quality, comfortable and easy to assemble. They were delivered on time and were a Very reasonable price. I would recommend them to anyone. Nice chairs. Easy to put together. Good value for money.